When you try to make a case for SEO, you’ll often encounter common objections like it’s unpredictable, takes too long, or PPC is better. Many people also believe that its financial benefits aren’t as good as what you’d reap with social media or PPC. However, the truth is it’s very measurable and typically a better monetary investment too – something many businesses are now realizing. These businesses are also realizing that a well thought out strategy will bring you more qualified traffic that will meet your needs and thus convert better. Failure to embrace this doesn’t only mean you’ll lose a few sales, but it can have a very negative financial impact as well. As such, it’s important to consider its overall impact on your bottom line. PPC often has a higher conversion rate than SEO, but it casts a narrow net. SEO allows you to broaden that net and reach potential customers at the very begginning of their journey so you don’t miss out on leads, sales, or opportunities to build your brand’s authority. Optimizing your website for a few high-traffic terms isn’t enough. You must also understand how your visitors think and what they’re searching for as these things may be completely different from what you’d originally “imagined.” These small insights can be very valuable for you though. Many webmasters felt Google’s “Medic” update in 2018 destroyed their business. This isn’t something they could predict ahead of time, but if you adhere to SEO best practices you can mitigate the adverse risks of such updates. Sometimes this is as simple as creating content that builds trust and authority. You can’t ignore your SEO because organic listings have much more credibility than PPC listings. This is why you want to dominate Google’s first page for your industry. With this type of PR people will start to believe that you have both authority and expertise. Without it, people will grow suspicious of your credentials – something that can also negatively impact your PPC ads’ conversion rates too. Credibility is a very fine line that we must carefully adhere to for our business’ success. 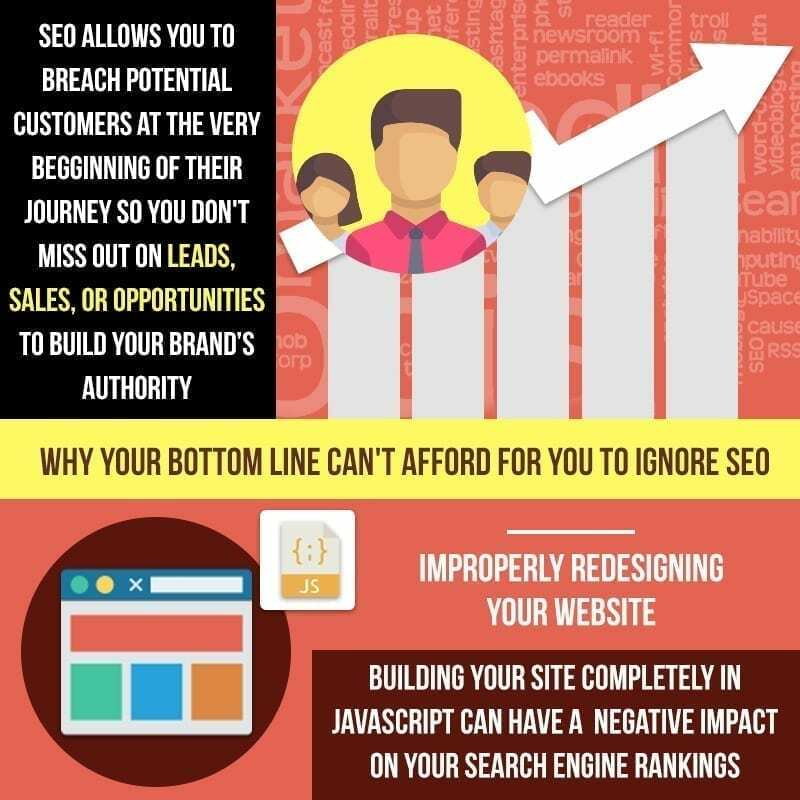 While you could run a successful business without any help from SEO, doing so will probably result in you leaving opportunities behind that your competition won’t ignore. When you have a solid plan, you’ll not only minimize drops in sales but you’ll also maximize your online footprint. This isn’t something you have to do alone either. The Affordable SEO Company is there to help you so contact them today. Next PostNext SEO v. PPC: Which one should your business use?